Botanical paintings inspired by a royal garden. For seven years many of the leading botanical artists from around the world painted examples of plants and trees growing at Highgrove, the Gloucestershire garden of TRH The Prince of Wales and the Duchess of Cornwall. A wide range of subjects from familiar garden plants and shrubs to rare trees, fruit, vegetables and wild flowers make up the 124 paintings which are published as a fine art facsimile. A panel of experts ensured that the final selection of watercolours met the highest standards. Each plate is reproduced full size and is accompanied by botanical text provided by the Natural History Museum. This first British royal Florilegium is presented as a two-volume work, half-bound in red goatskin with marbled paper sides. Each book is hand tooled in gold leaf and measures 26 x 18 x 2¼ inches. 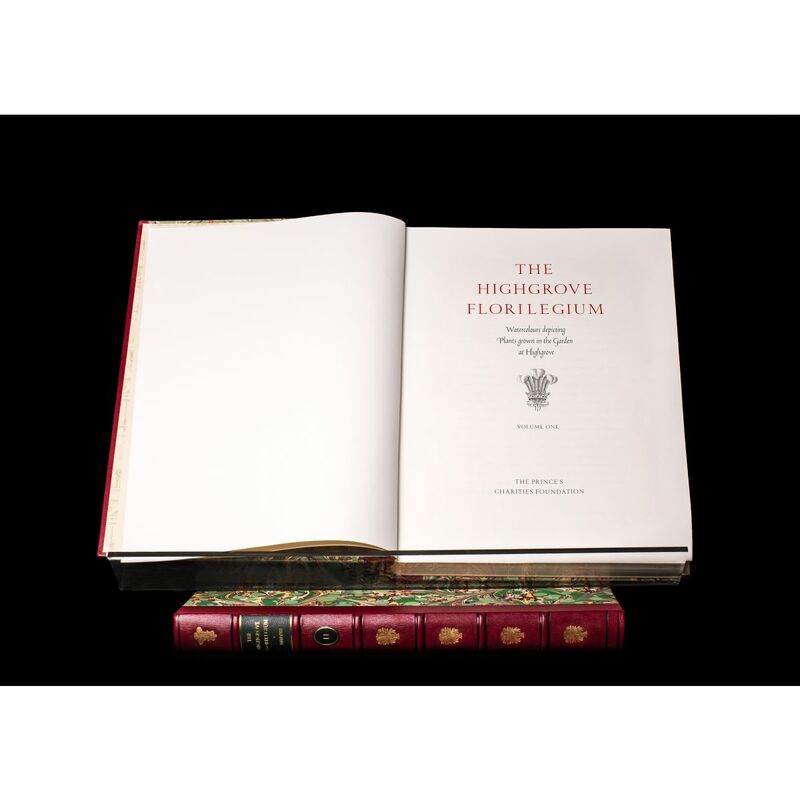 The Highgrove Florilegium is limited to 175 numbered sets. The first is assigned to HRH The Prince of Wales who has written the Preface and kindly agreed to sign each copy. To place an order for one of the last sets, or to request further information, please telephone or email. The Highgrove Florilegium can be seen in the current exhibition, Prince and Patron.